The dual detector compensated neutron log utilizes an Americium-241/Beryllium (AmBe) chemical source. Dual neutron detectors measure liquid filled porosity. Neutrons are primarily affected by hydrogen in the formation. With known corrections for the appropriate matrix (limestone, sand, or dolomite) a compensated neutron log is able to accurately determine porosity along with the presence of shale or gas behind the casing. 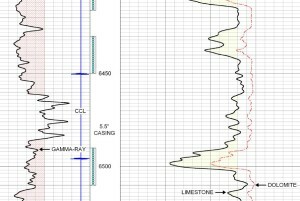 A compensated neutron log is useful for identifying zones of interest and determining perforating depths, tracking gas cap movement and gas encroachment under shale layers, as a correlation between open and cased hole where a gamma ray is not indicative, and to measure overall porosity of the well. 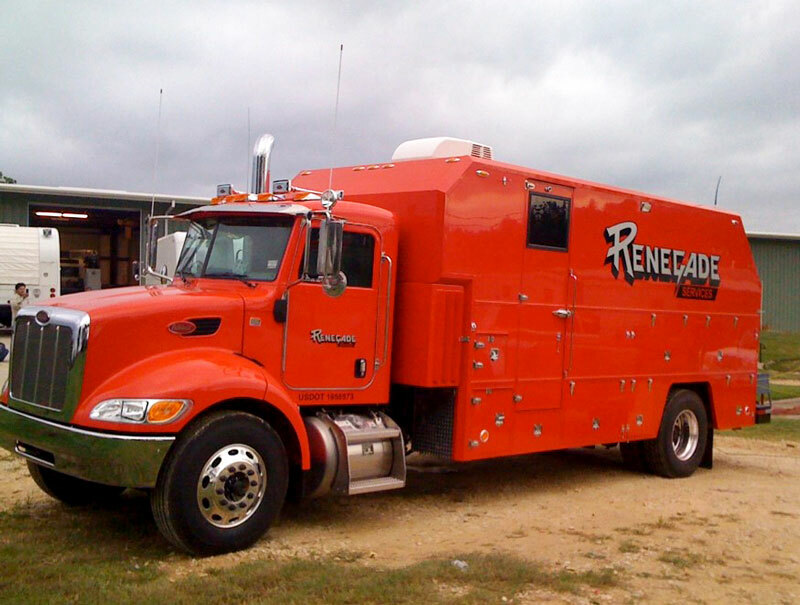 At Renegade we primarily use the compensated neutron log (CNL) to identify pay zones in a well. Once the zones of interest are identified and logged the engineer is able to make an informed decision about where and how they want to perforate the well.